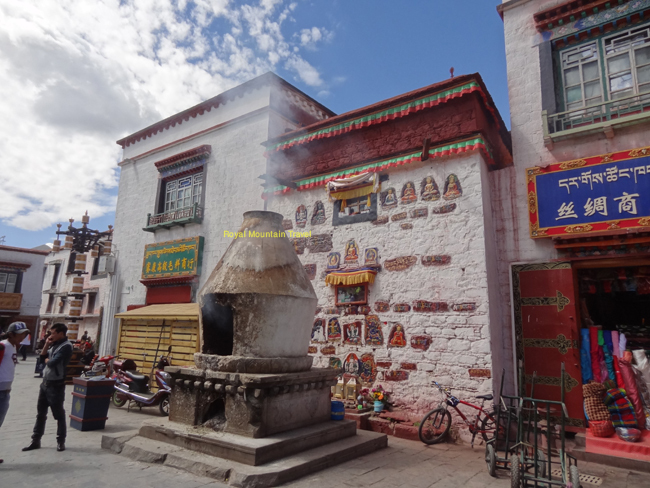 Considering that you may have well acclimatized in Lhasa, if you would like to add on more days in Tibet and would particularly be interested to do short trekking around Lhasa, we Ganden - Samye trek is the best option. 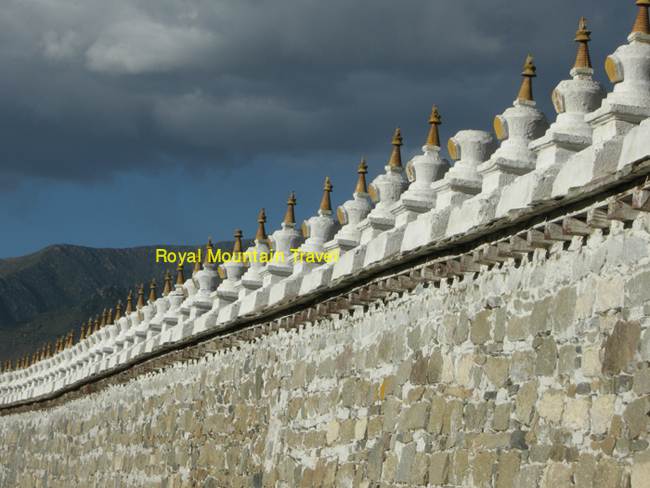 The trek from Ganden Monastery to Samye is considered to be one of the best hikes. 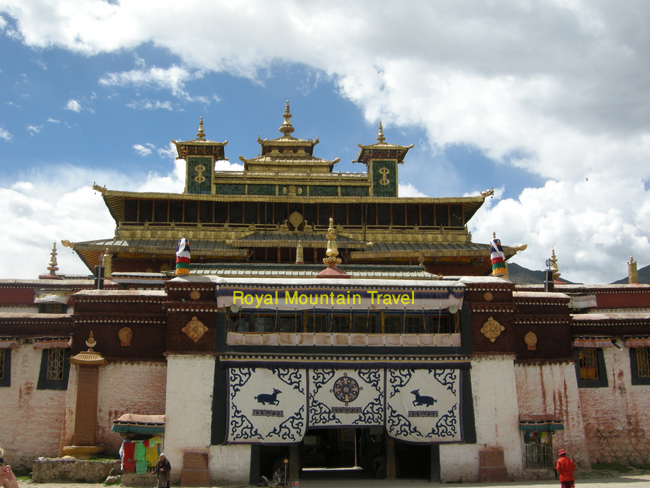 This attractive route goes along high passes and secluded valleys only inhabited by nomads, and it is a popular pilgrimage route for Tibetans as well. 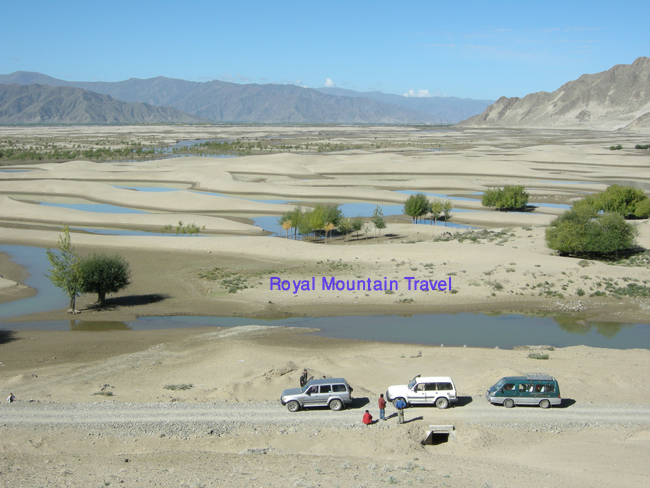 Be aware that the altitude gains are higher than what it is recommended, and only those should attempt the trek who are well acclimatized, and have experience in hiking and camping. 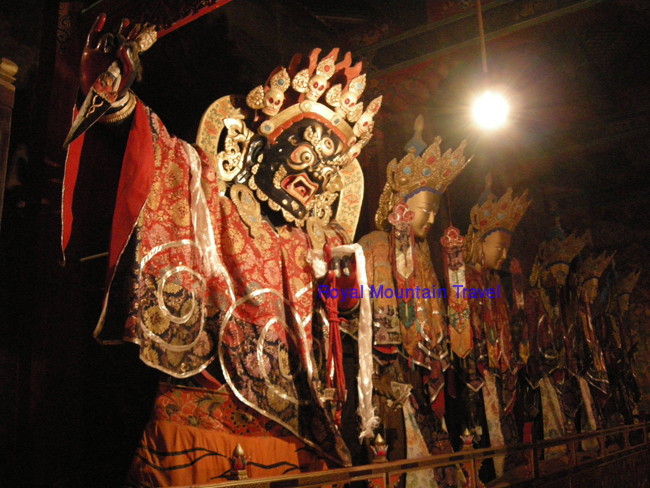 Ganden Monastery: It is the first monastery founded in 1409 by Tsongkhapa, the founder of the Gelukpa School, 50 km away from Lhasa. Ganden means ‘joyous’, and it is the name of the paradise of the future Buddha, Maitreya. 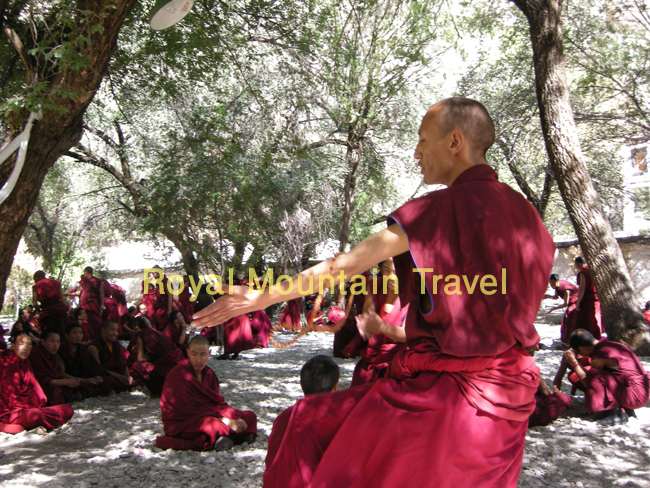 The monastery is high up on a mountain over 4000 m above sea level, and has stupendous views of the Kyichu valley and a fascinating circumambulation path which offers views of both sides of the mountain. The red fortress like structure is Tsongkhapa’s mausoleum known as Serkhang, and though it was destroyed by the Red Guards along with the preserved body of Tsongkhapa, it was beautifully reconstructed. 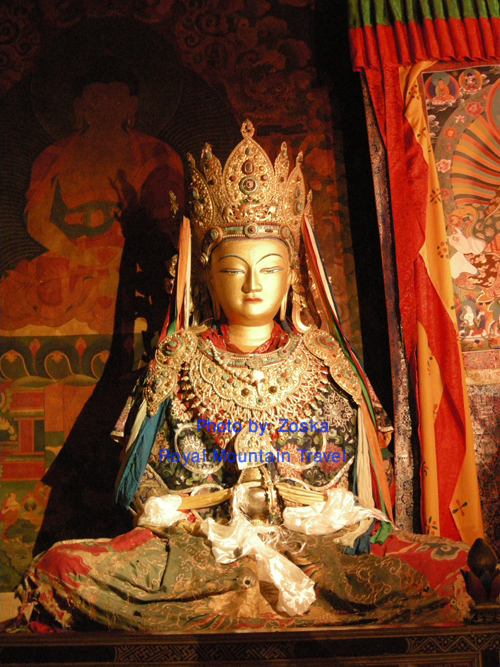 Another important place to visit is the nearby assembly hall, where in the inner sanctum the golden throne of Tsongkhapa is still standing, which for centuries was the throne of the Ganden Thripa, the head of the Gelukpa school. Pilgrims get thumped on the head as a blessing with the hat of Tsongkhapa, and the shoes of the 13th Dalai Lama. Day 1 Trek from Ganden to Yama Do. Day 2 Trek to Tsotup Chu Valley. Day 3 Trek to Herder's Camp. Day 4 Descent to Samye. 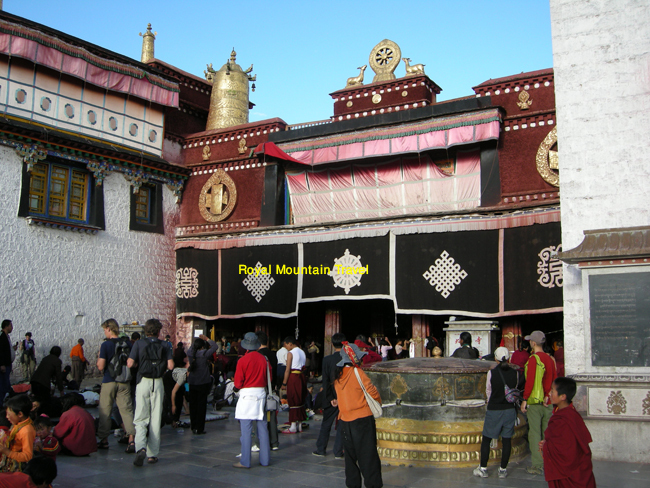 Considering that you may have well acclimatized in Lhasa, if you would like to add on more days in Tibet and would particularly be interested to do short trekking around Lhasa, we Ganden – Samye trek is the best option. 5-6- hrs, 17 km, 300 km ascent, 450 m descent. The trek begins from the parking lot of Ganden Monastery, where you can often hire a yak or porter to carry your luggage. After the Ganden Khora (circumambulation path) branches off to the right, keep walking straight up to the saddle. Then the trail descends to Hepu village, a settlement of about 30 houses. One hour from Hepu you will reach Ani Pagong. Then the trail steadily climbs for another hour through marshy meadows to Yama Do. Set up your camp there. Trek to Tsotup Chu Valley. From Yama Do follow the central branch of the watercourse, and after an hour leave the valley floor and ascend a shelf on the east (left) to avoid a steep gully. Remain on the eastern side of the valley as it bends to the left and climb up to Shuga la (5250 m). Start descending through a boulder field and enjoy the view of the valley and the lake below. Cross the large Tsotup Chu (Tsotup River) which flows through the valley. From Tsotup Chu ford follow the minor tributary that enters from the southwest. After 30 minutes you reach a large basin. Stay on its west (right) side and turn into the first side valley opening on your right. Move to the west side of Chitu La (Chitu Pass, 5210 m) to find the trail down. A short descent will bring you to a basin with three lakes. Follow the trail and in an hour you will come to a flat seasonal herder’s camp. Set up your tent for the night.